Village Manager David Fieldman announced today that Police Chief Kurt Bluder will retire after more than 32 years of service with the Village. His last day with Downers Grove will be Friday, January 5, 2018. "Kurt's commitment to professional law enforcement was visible on a daily basis. He used his expertise and experience to lead the Police Department and provide excellent service to the community," Village Manager Fieldman said. Bluder has accepted a position as Chief of Police for La Grange Illinois, effective, January 8, 2018. "I've thoroughly enjoyed working with the Village. It's an exceptional organization with exceptional people. The department is in very good hands. I'm looking forward to meeting everyone in La Grange and applying my skills in a new community," Chief Bluder said. In 1985 he began working with the Village as a member of the Public Works Department and made the transition to law enforcement in January 1989. During his 32 years of service, he worked in a variety of positions including Deputy Chief of Police for 14 years. 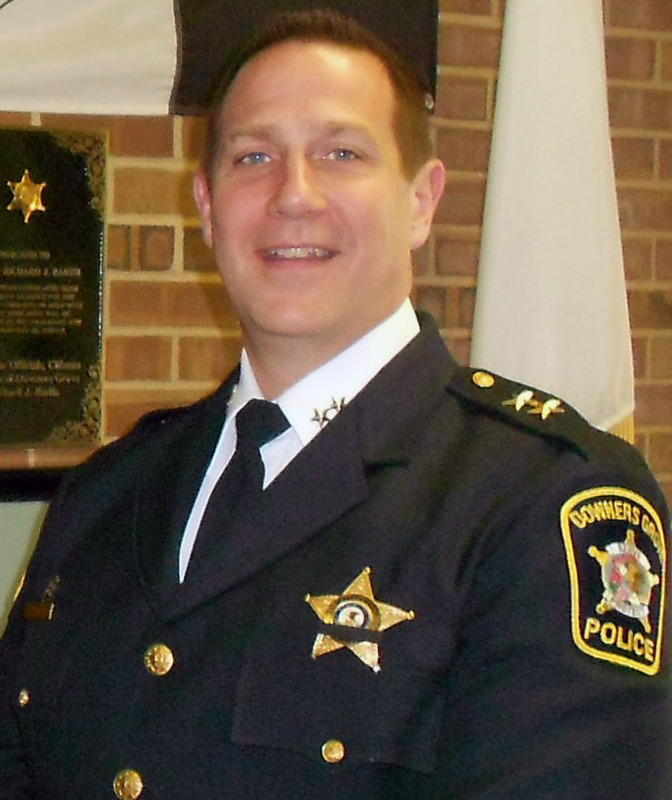 He moved up through the ranks, assuming increased responsibilities with every facet of the police department, culminating with a promotion to the top spot as Downers Grove's Police Chief in 2015. Throughout his career he participated in the negotiation of many union contracts, prepared and managed department budgets and served as project manager on the successful consolidation of the Downers Grove and Westmont dispatch centers. "Chief Bluder and his commitment to professionalism and leadership will most definitely be missed. It is very special that he was able to gain so much experience while serving his hometown, all the while contributing greatly to a department recognized nationally for law enforcement excellence," said Mayor Martin Tully. "In fact, it is a point of pride that public safety leaders from Downers Grove are highly sought after by other agencies. Kurt Bluder joins a celebrated list of many highly talented and successful Village employees who have gone on to share with other communities the knowledge and experience they've gained here." Deputy Chief Shanon Gillette will serve as Acting Chief of Police, effective, January 5, 2018. "Shanon is one of many established leaders at the forefront of innovative practices within the department. I'm confident he is ready to serve as Acting Chief," Manager Fieldman said. The Village extends best wishes to Chief Bluder and his family as they open this new chapter in their lives.